Glashuset har publicerats i boken “The Sunny Side” av Braun Publishing. “Winter gardens are well-established elements of the architectural design of residential spaces. With their glazed structure, they absorb light and heat, offer protection from all climatic conditions, while suggesting an immediate connection to the surrounding landscape. Through more than 40 exemplary projects, this volume shows how the concept of glass building shells is successfully interpreted in contemporary architecture. In addition to winter gardens in the classical sense as modern expansions to the residential space, multifaceted solutions of glazed facades covering entire residential structures based on the latest technologies are presented. 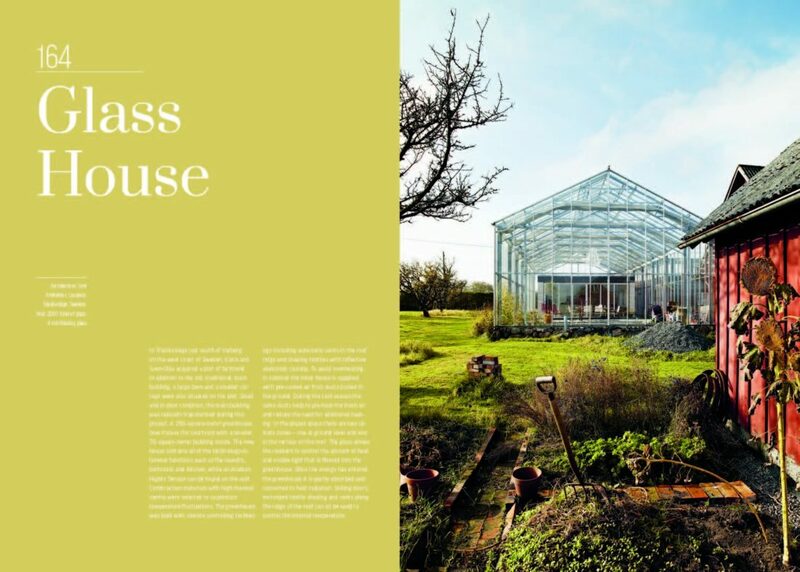 What is more, a close look on the trend of living in greenhouse-like structures provides innovative insights into the area of ecologic sustainability and potential self-sufficiency.